There were the expected emphatic statements about the life and health of the people being the government’s top priority, but since the life of the current government may be measurable in hours it’s not a stretch to say the full attention of the bureaucrats in Oslo isn’t on the new dismaying new crisis in the country’s northernmost town. 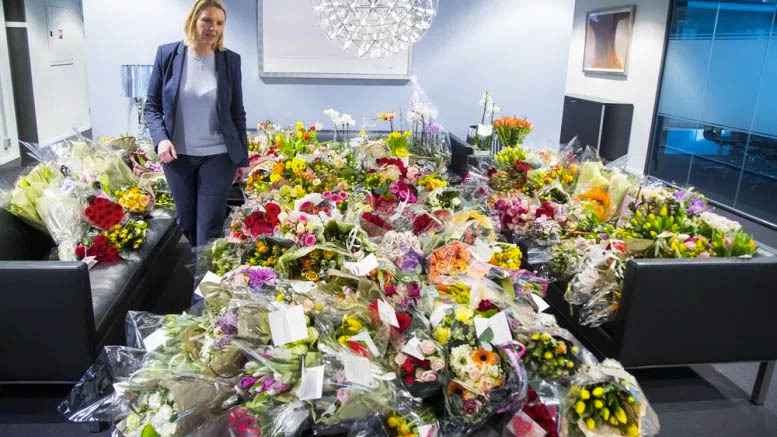 All eyes (or nearly so) will be on Oslo on Tuesday when Parliament is scheduled to take up a no-confidence vote against newly appointed Minister of Justice and Public Security Sylvi Listhaug. A member of the anti-immigration Progress Party responsible for numerous controversial statements and policy proposals, she triggered the vote by writing a Facebook post last week suggesting her political opponents support the rights of terrorists over citizens when her proposal to strip of suspected jihadists of Norwegian citizenship without a court decision was rejected. All that would be just the latest of many colorful political fights involving the minority coalition government headed by Prime Minister Erna Solberg that doesn’t involve Svalbard all that much, except for two things: 1) the justice ministry has administrative oversight of Svalbard (which, practically speaking, means determining its budget allocation and key policy decisions) and 2) Longyearbyen is going through immediate and longer-term crises in housing, safety and the economy which many local officials have said are getting less-than-rapid responses from the government. Among those concerns is a report released late last week declaring a large percentage of the residences, businesses and other structures in the center of Longyearbyen to be at far higher risk of being hit by avalanches than previously thought. A public meeting Sunday night where Listhaug could have discussed those concerns and others was cancelled so she could focus on the no-confidence vote. Instead, ministry State Secretary Knut Morten Johansen visited Longyearbyen on Monday and, in a report noting many other officials with various ministries have visited recently, Svalbardposten reported he wasn’t offering any firm commitments in the wake of the new information. But that was apparently the only mainstream news coverage of the visit as the rest of the media – and politically-oriented social media posts from locals (many of who were incensed by Listhaug posting Facebook photos of herself with massive amounts of flowers sent by supporters) – were focused on the larger political battle in Oslo. While any battle involving the future of a government isn’t simple, the no-confidence vote on a single cabinet member essentially could escalate into an action where the entire Cabinet is ousted or a new party (Listhaug’s Progress Party ironically being a contender) gaining authority to name a new member to replace Solberg, a Conservative Party member elected to the position in 2013.